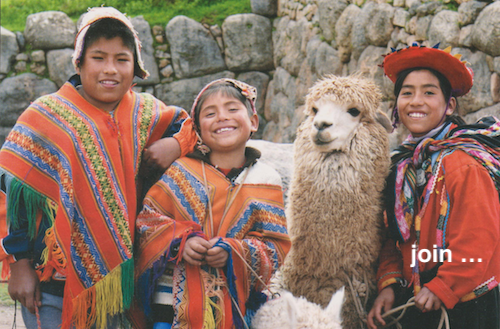 Maestro Juan Camargo Huaman is a Quechua from Peru and initiated our association Pacha Mama. His central goal is to teach the knowledge of the “spiritual path of Mother Earth, Pacha Mama”. It is a universal path, the spiritual path of nature. He founded in Europe the initiatory school of „YACHAY“ (qechua: „initiatory knowledge“), to bring to he world the sensibility for Mother Nature and the profound knowledge of the andean tradition. Until today he is giving initiatory teachings. His mother was an initiate healer of the Andes and profoundly influenced his development. During his studies at school and university he was taught by various andean Masters who initiated him to the anden tradition. For many years he worked as a shaman and healer in Peru. Then he fully dedicated his life to the path of the Pacha Mama (Mother Earth) and the teachings of the wisdom of nature. After all these experiences he was made a spiritual Master K’anchaq Uma („Ray of light“). Hefollowed numerous invitations to different countries, mostly in Europe, where he is teaching the wisdom of the ancestral knowledge and rituals oft he Inca tradition until today.